What are Seven Seas Pure Cod Liver Oil Extra High Strength? This oil contains the vitamins A, D, and E which all help to provide support for the body’s natural functions. 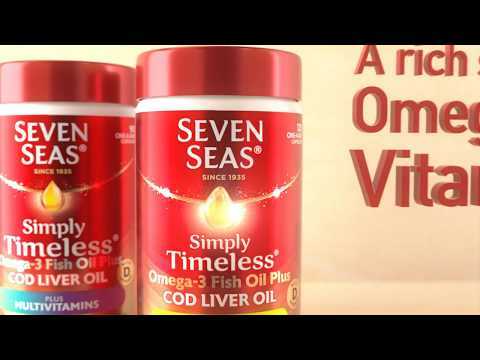 What is the difference between Extra High Strength and the regular Seven Seas Cod Liver Oil? The higher strength oils will have a higher concentration of the vitamins and nutrients in it. This will be measured per 10ml, 100ml, or recommended daily intake. Who is this Seven Seas Oil suitable for? This oil is not suitable to be used by vegetarians. Can children use this oil? It is recommended that you speak to a professional when it comes to finding the right food supplement for children. Can someone who is pregnant or breastfeeding use Seven Seas Pure Cod Liver Oil? Is it safe to use this oil when using any medication? Take three 5ml teaspoons of oil a day. Can be taken on its own or with a cold drink. Do not exceed the recommended daily amount. Adults over 15 years - two 5ml teaspoons daily. Children over 11 years - one 5ml teaspoon daily. Can be taken on its own or mixed with milk or orange juice.